This year for my 38th birthday Tomas and I treated ourselves to a road trip to southern California. 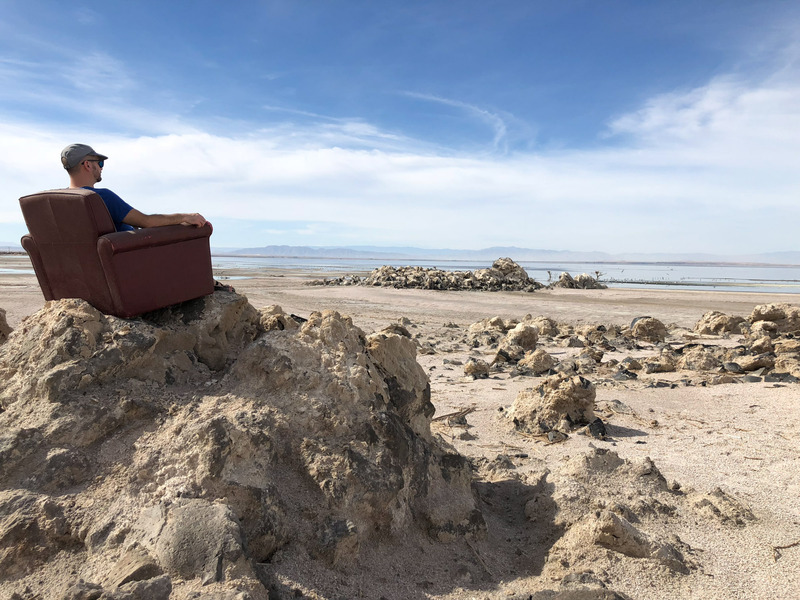 The plan was to fly to L.A., pick up a rental van, drive to the Salton Sea, Joshua Tree, and Death Valley and then fly home from Las Vegas. 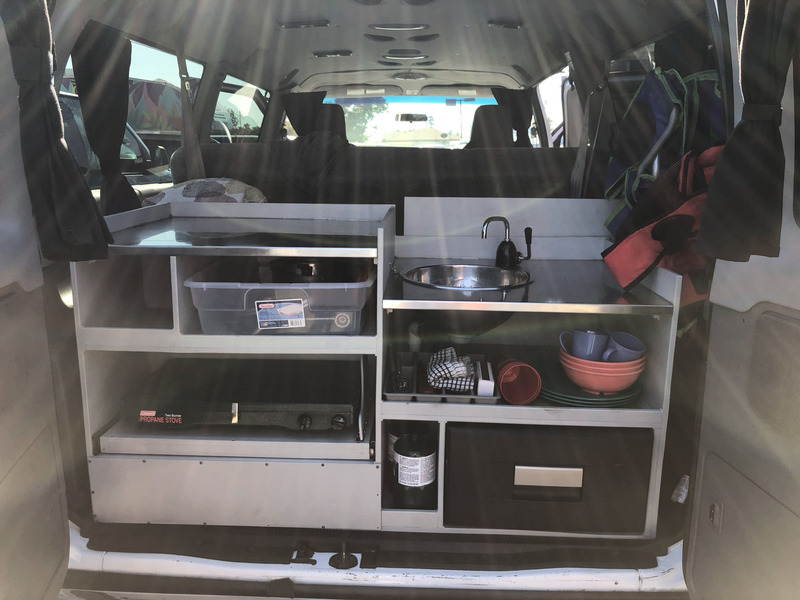 I was inspired by a coworker’s experiences with Escape Campervans so we decided to try out #vanlife. It’s everything you think it is, quirky, convenient, and unconventional. 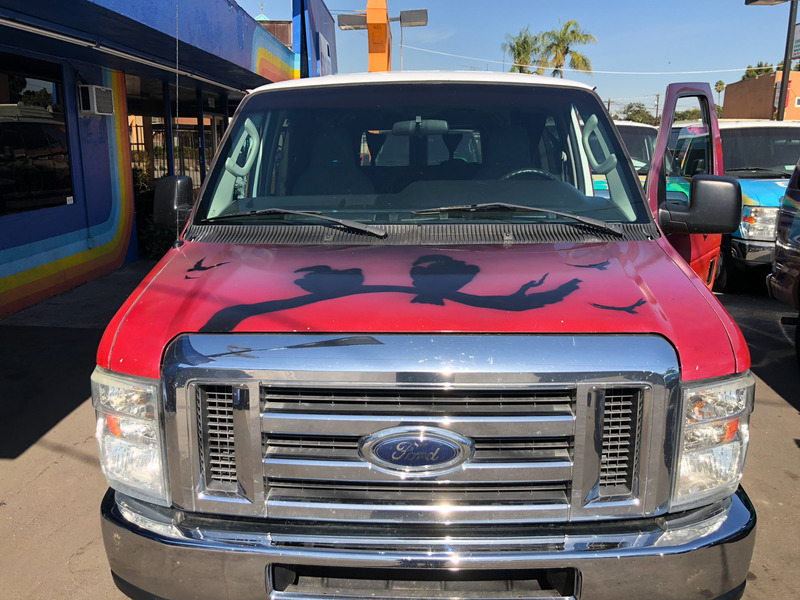 Vultures – a good omen? 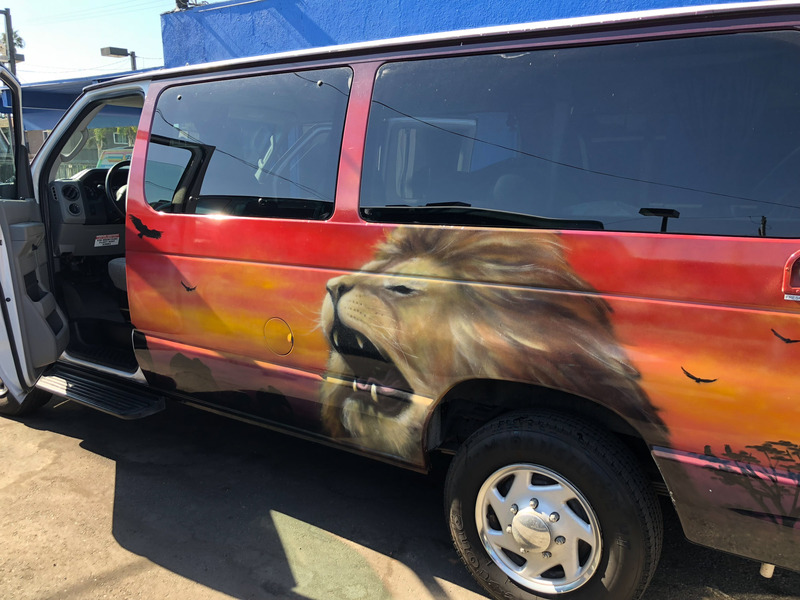 “Simba” would be our lodging and transportation for the week. 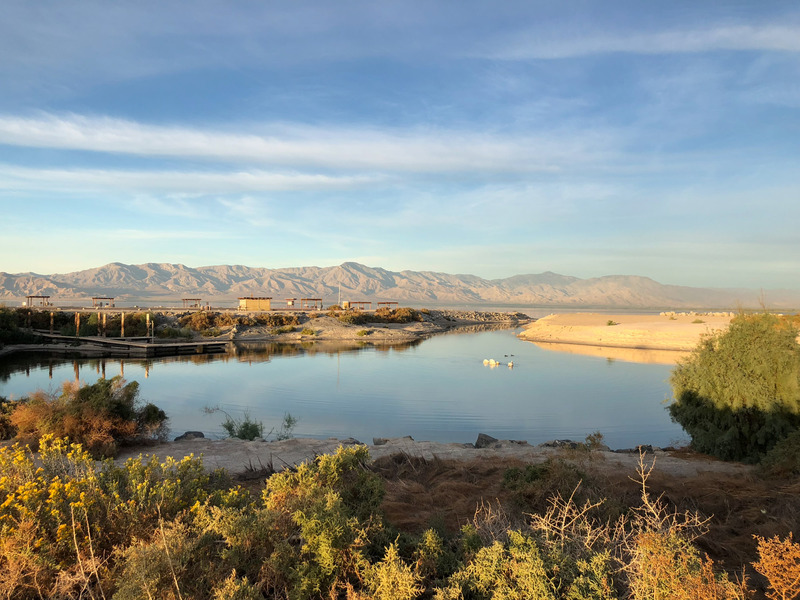 For some reason (mostly traffic) it took us 8 hours to cover the 165 miles between LA and Salton Sea on the first day. One of our stops included the Trader Joe’s in Palm Springs to load up on groceries for the week. 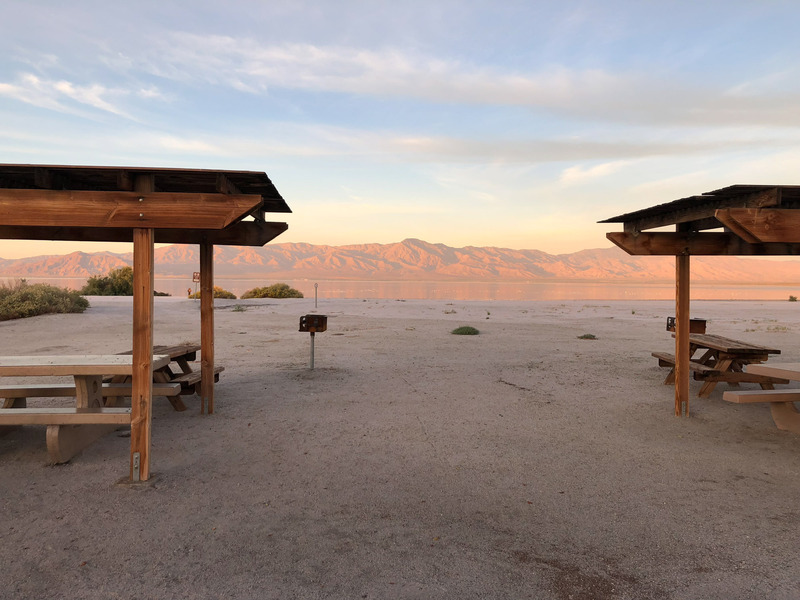 We arrived at New Camp near the Salton Sea Headquarters in the dark. Not ideal but the sun sets at 4:30pm in the desert. We settled in to hopefully get some sleep, but there were Loud. Trains. All. Night. Long. At least it was just the first day. In the morning we were tired, but surrounded by good distractions. I couldn’t believe my eyes. Where in the world was I? Ever since I saw the documentary Plagues & Pleasures on the Salton Sea (watch it!) I’ve been fascinated with this strange part of the world and it’s quirky and complicated history (and uncertain future). And that was before I knew how important it is for migration, it’s one of the only reliable places in the United States to see a Yellow-footed Gull. Sold. A friend lent me a copy of A Birder’s Guide to Southern California which was extremely helpful. It guided me to my first stop, the old swimming hole by headquarters. 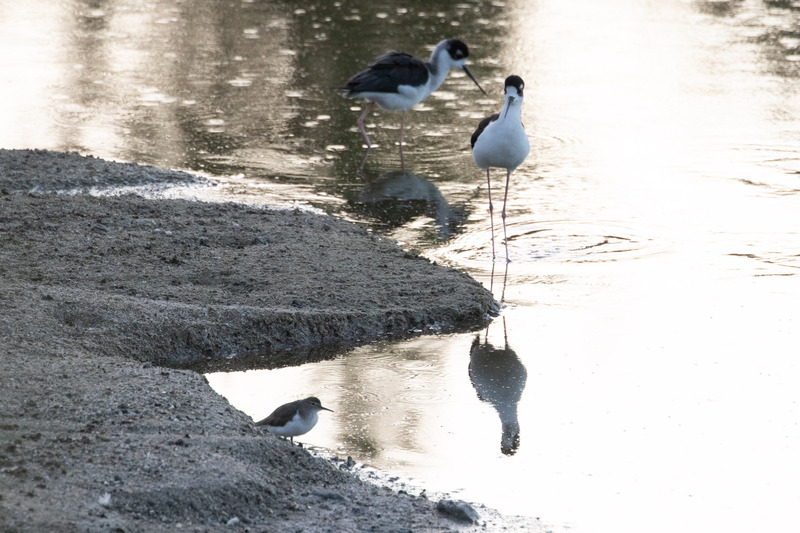 Here I was immediately drawn to shorebirds, Black-necked Stilts, and a Spotted Sandpiper. In the water were four American White Pelicans busy feeding, and a pair of White-winged Scoters, a rarity for the area. 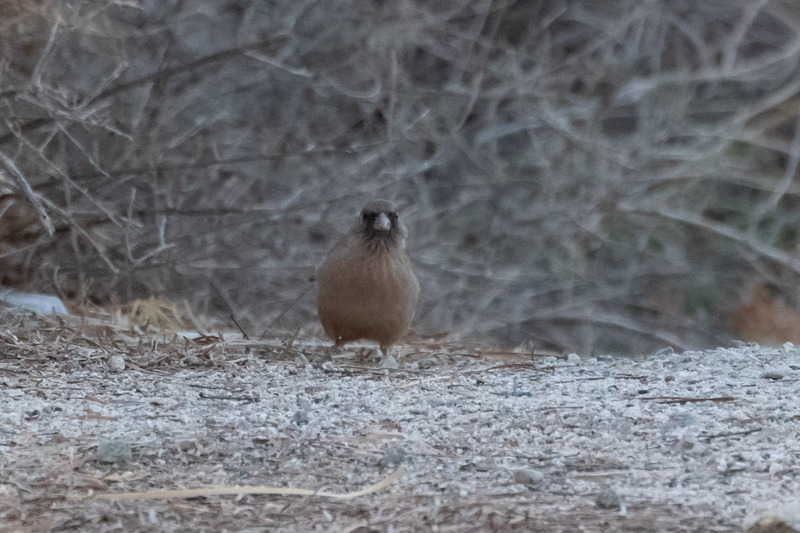 Under the shrubs by the watering hole I met my first life bird of the trip, an Abert’s Towhee! Doing what towhee’s do, scritch-scratching in the dirt. Because I was hoping for a Yellow-footed Gulls, I paid extra attention to the gulls. 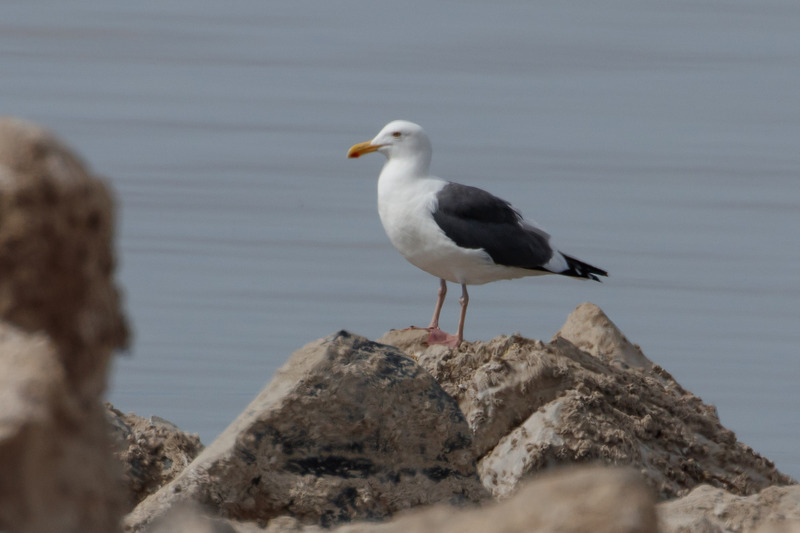 A YFGU looks like a Western Gull but with bright yellow legs instead of pink. 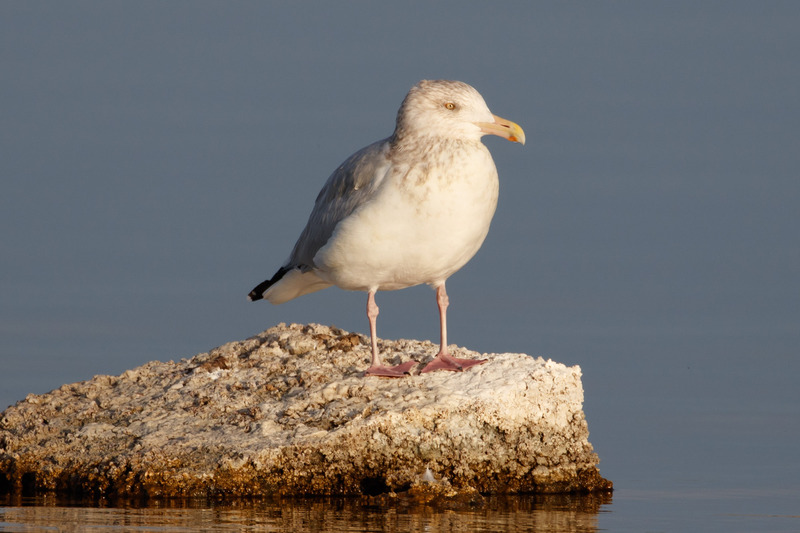 This Herring Gull stood out to me, but it has pink legs, a pale eye, and light gray back. 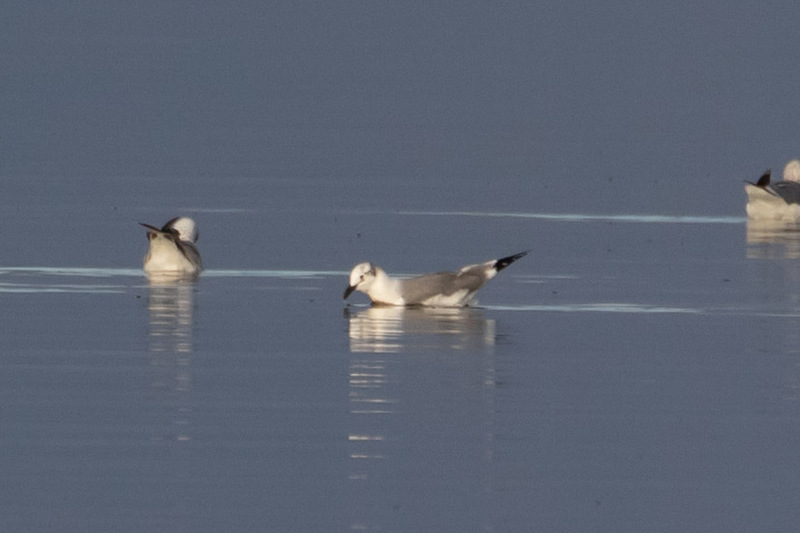 In the water I saw a small group of Bonaparte’s Gulls swimming with Ring-billed and California Gulls. 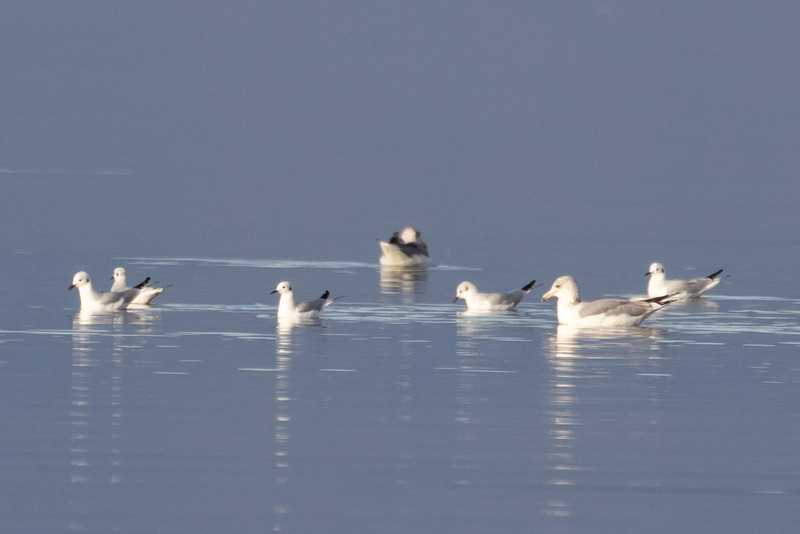 And farther away was a gull slightly larger Bonaparte’s with a black bill and gray wash on the back of its head that I figured out was a late-season Laughing Gull. 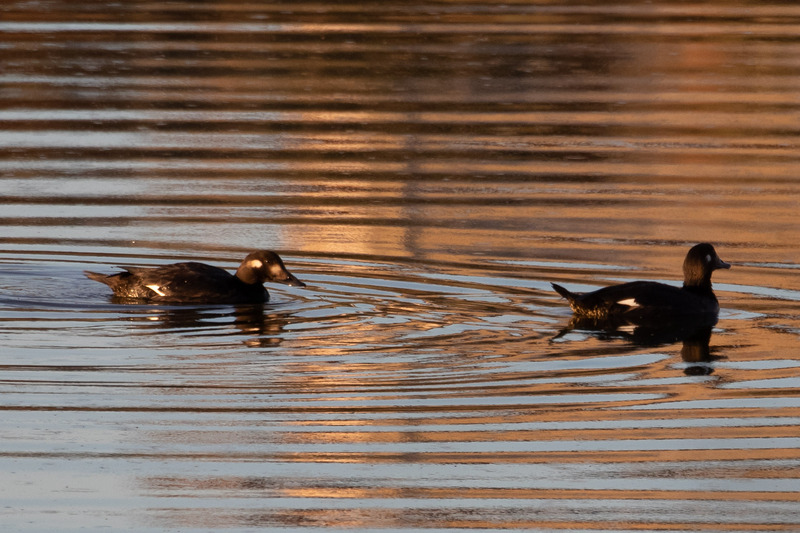 The day was warming up already and we needed to get moving if we were to make it to the Sonny Bono NWR before too late. 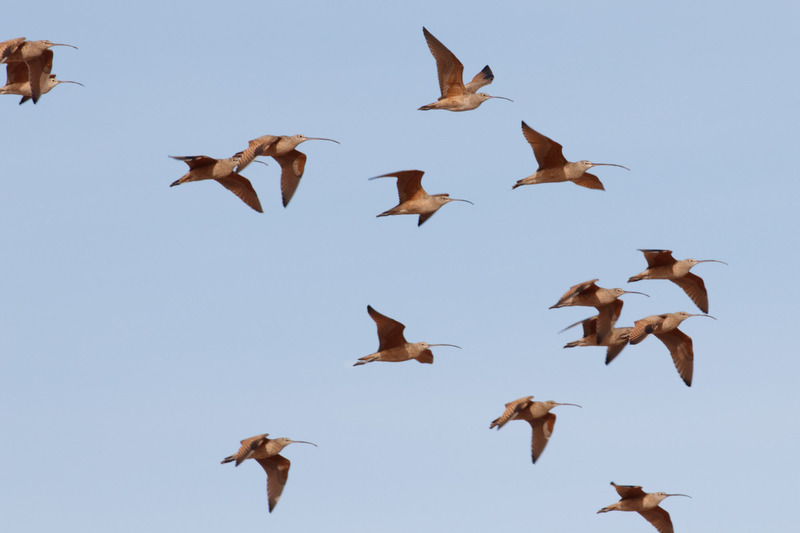 We drove along the north side of the sea and next to one road by the refuge I noticed a flock of 120+ Long-billed Curlews. 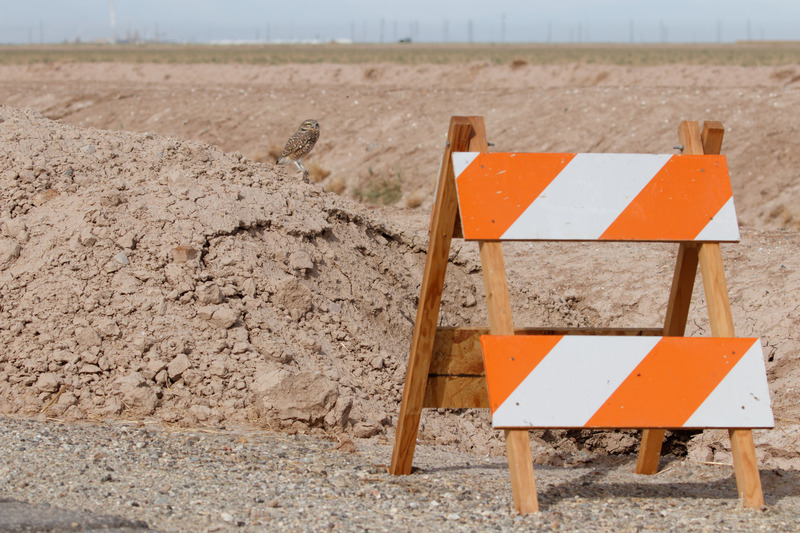 We pulled over to scan closer when Tomas spotted another surprise behind a barricade. Adorable! And chill. 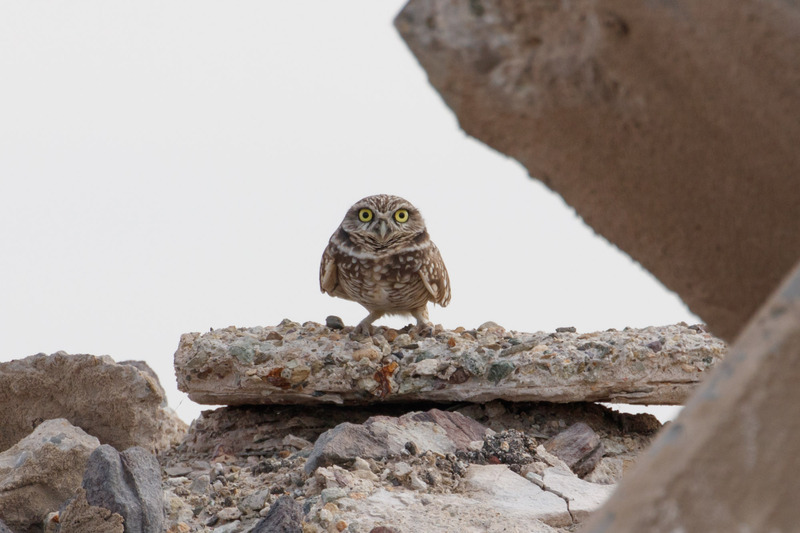 We spent a lot of time watching this owl. It did not care. 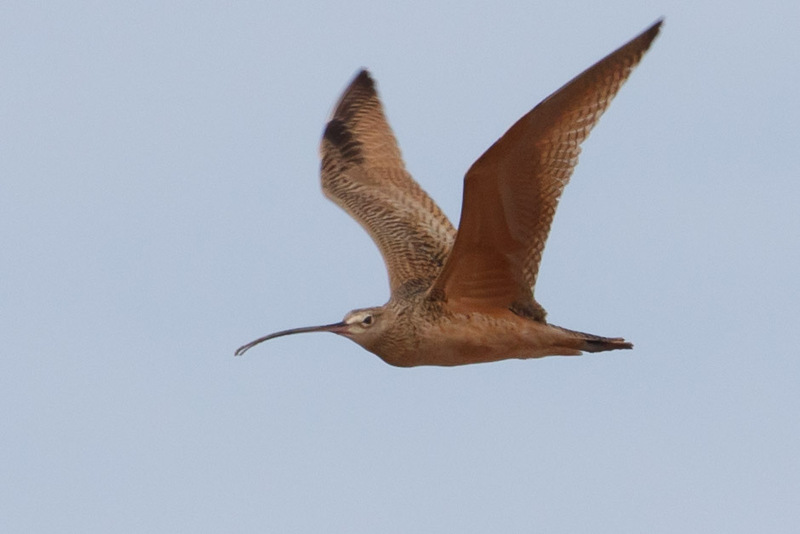 Meanwhile, noisy curlews called from the field and flew back and forth. We made it to the refuge but the temperatures were already roasting. And a huge group of tourists were coming back from a guided walk. 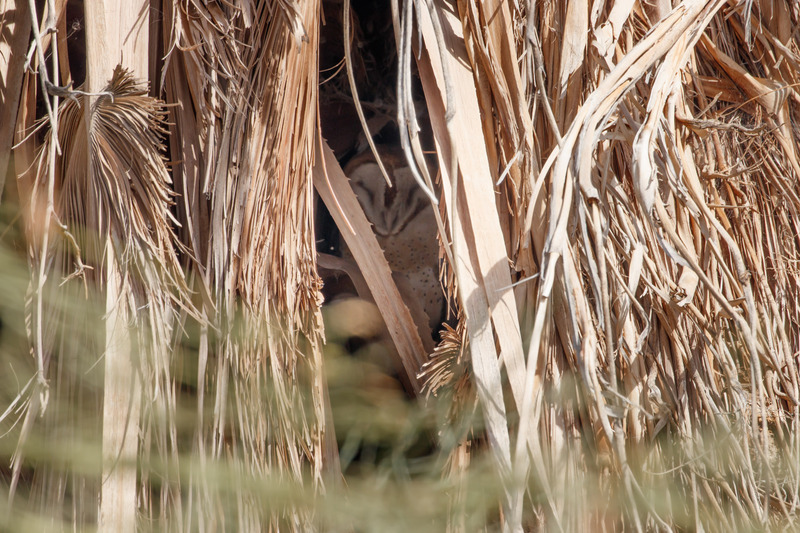 It was still pretty birdy, I saw Snow Geese, Common Ground-Dove, Cattle Egret, but I had a hard time leaving the parking lot area because I spotted a Barn Owl hiding in one of the palm trees on the property. I’d set up the scope to get better looks while Tomas walked around. 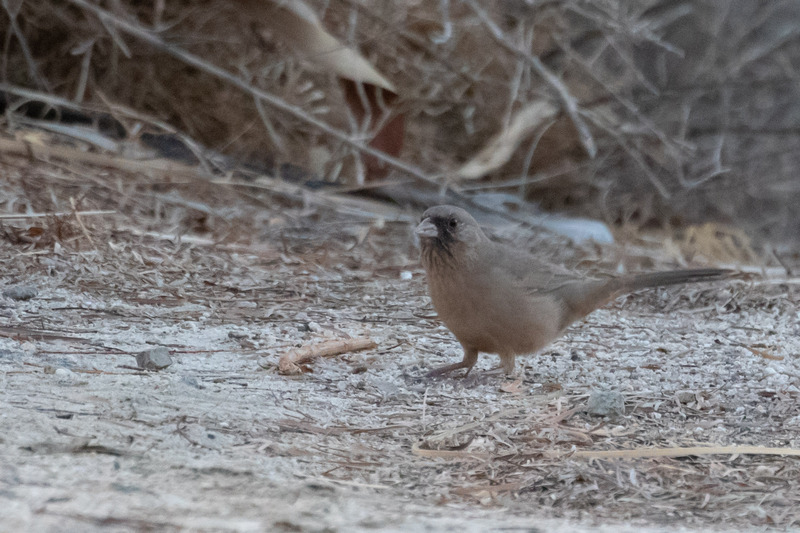 He returned to tell me he’d seen Gambel’s Quail under the feeders. This would be a lifer for me (!) so I hurried over, but there were too many people around and no sign of the quail. So instead I talked to the rangers for gull advice. They said our best bet for YFGU would be at Obsidian Butte not too far away. 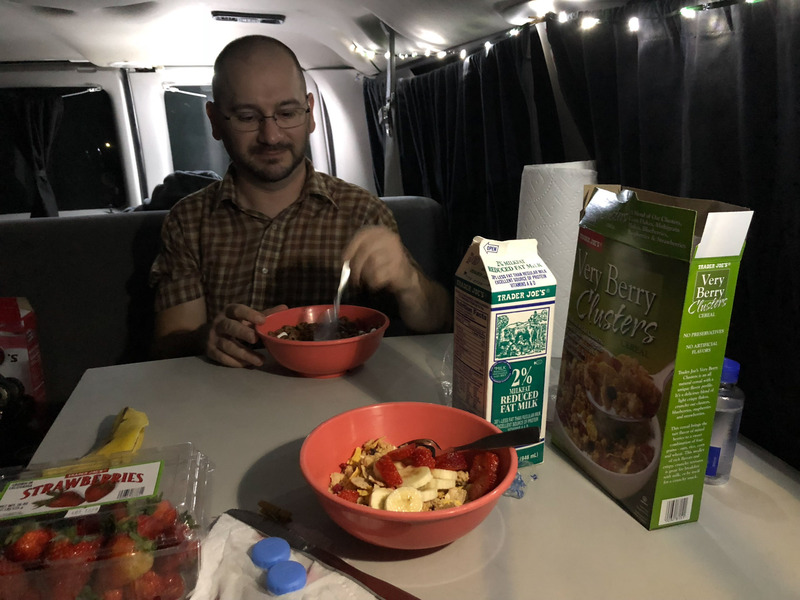 Tomas drove the van on some questionable sandy roads but we made it. There were huge obsidian boulders strewn about along with the typical fish bone beaches. Have a seat and enjoy the view. 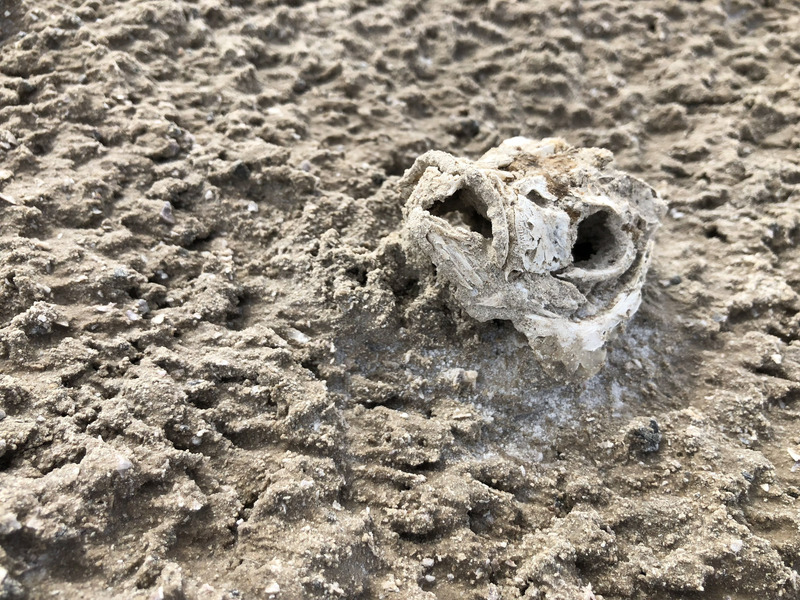 I’d read about the stink of the Salton Sea but it wasn’t too bad until the heat of the day at this spot. But the stink brings the birds. 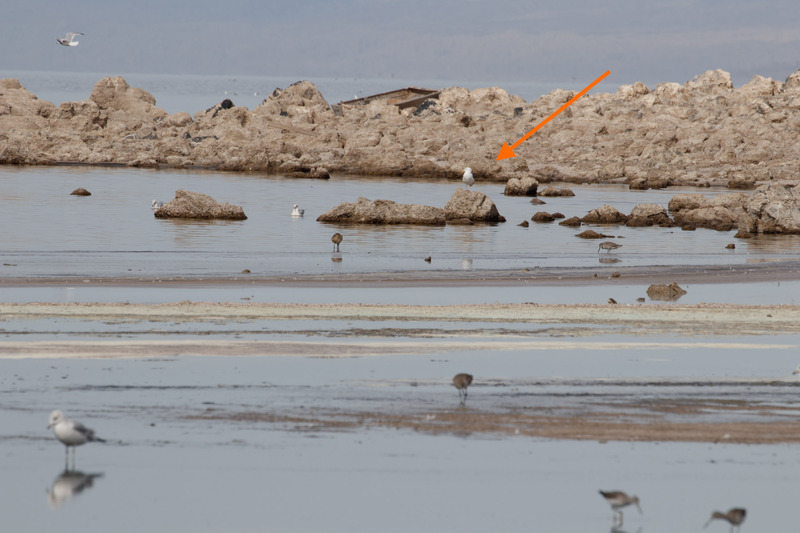 There were American Avocet, Marbled Godwit, Black-bellied Plovers, Willets, Forster’s Terns, Caspian Terns, and more gulls. I scoped the most promising gull in the distance. I hurried over, minding the quick sand, but this gull was wearing pink legs. Tomas humored me driving around more farm roads looking for gulls, but eventually I had to throw in the towel. I knew finding one in winter might be difficult, but it was worth a try. They are best seen late May to early June, peaking late July to early August. It’s much hotter and stinkier then, but it seems I’ll have to take another trip (Or go to Baja!). 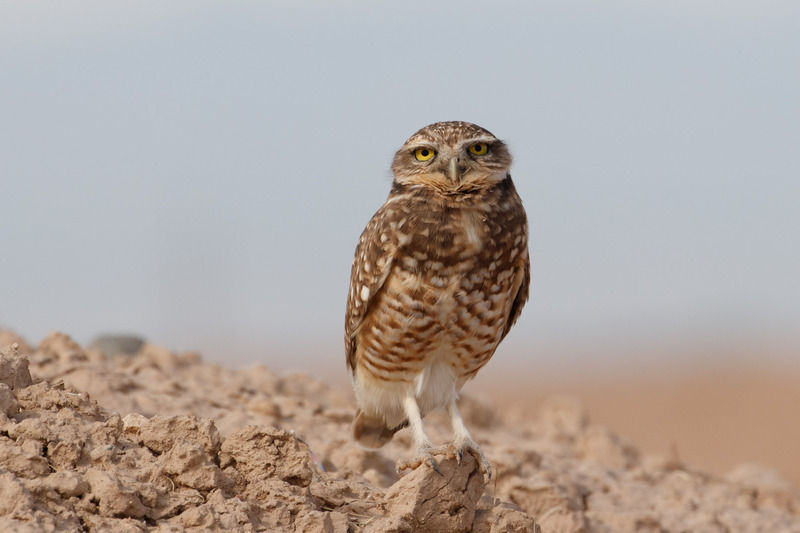 On the way out we found another Burrowing Owl that did not want to be seen. We gave this little one space and went on our way. 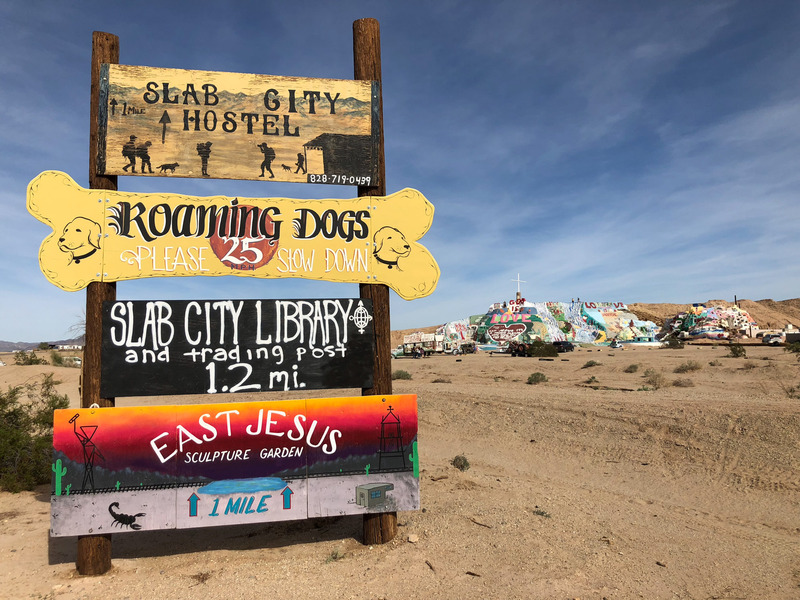 Next up was Salvation Mountain a religious art sculpture in the desert created by Leonard Knight (1931-2014). But there were few birds and I was more impressed by the sign next to the mountain. 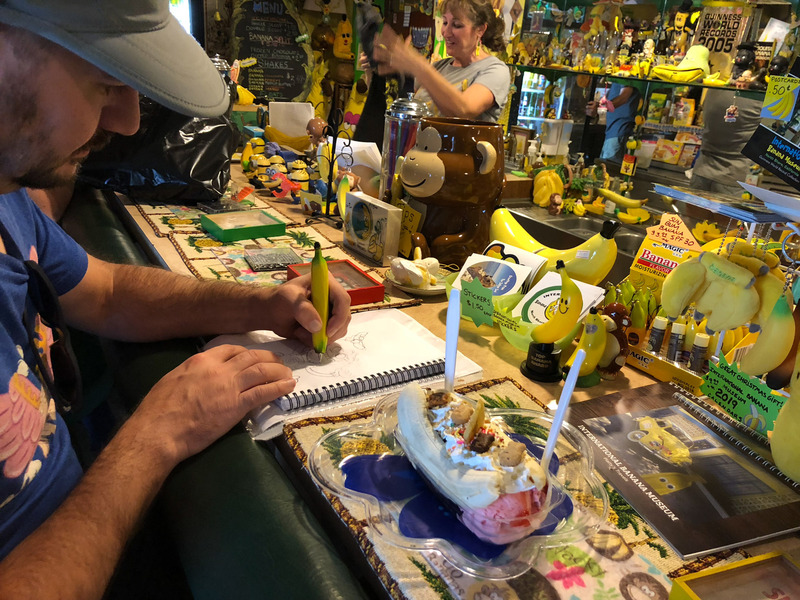 Back at North Shore we stopped at the International Banana Museum for a banana split! 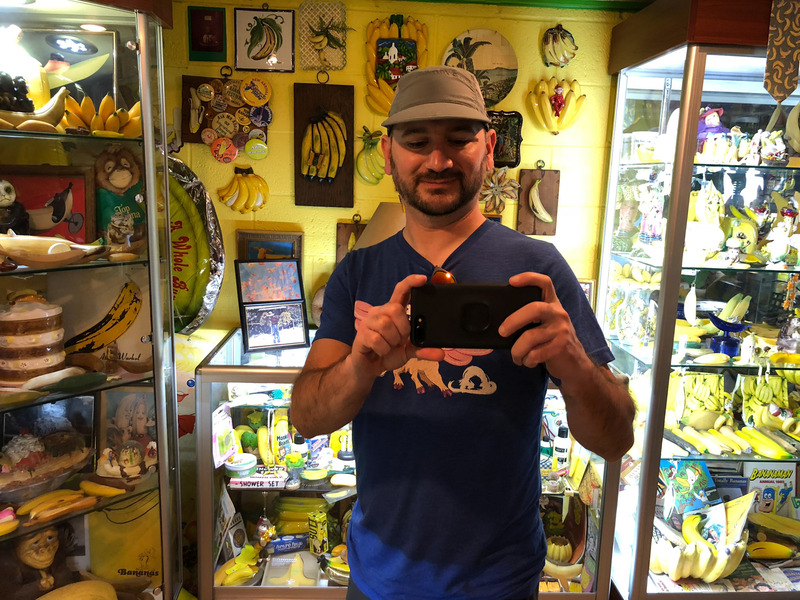 Because of course there’s a banana museum in the desert?! 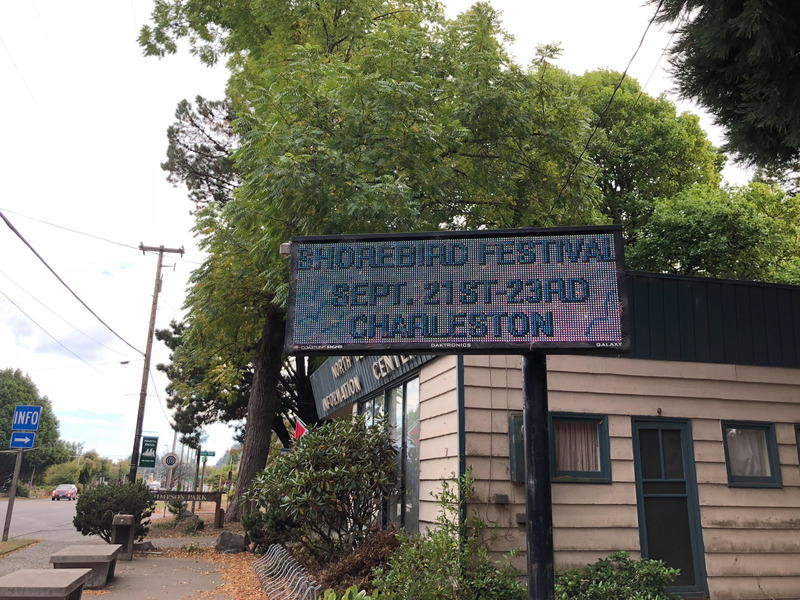 This year I attended the 32nd annual Oregon Shorebird Festival in Charleston, OR. 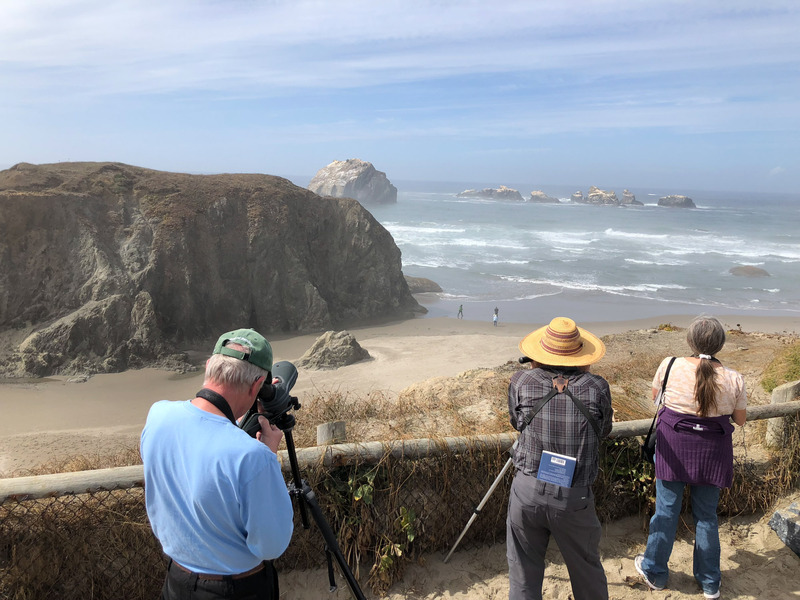 It’s a small two-day festival organized by by Harv Schubothe of the Cape Arago Audubon Society with presentations, dinner, and guided field trips around the Bandon, Charleston, and Coos Bay area. 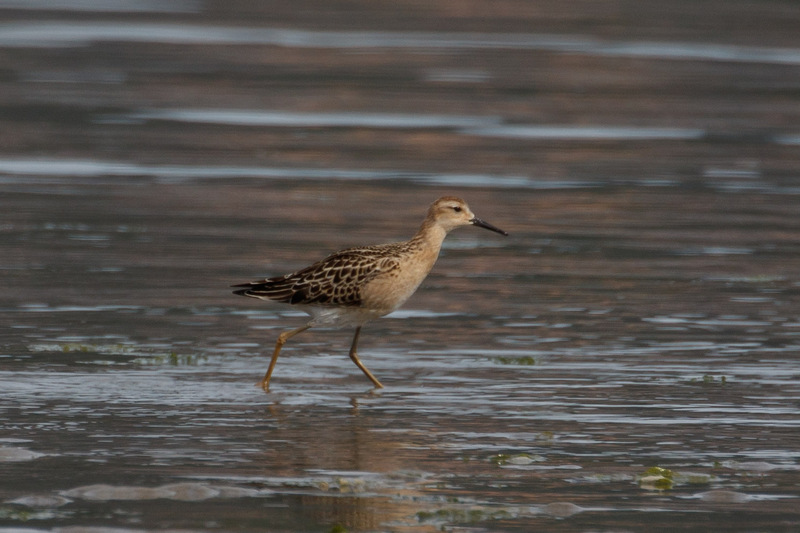 But before I got there, I took a detour to Newport to look for a reported Ruff near the Hatfield Marine Science Center. After a couple of tries, eventually I had success! The last time I saw a Ruff it was just a blob on my photo so it was nice to finally appreciate one. 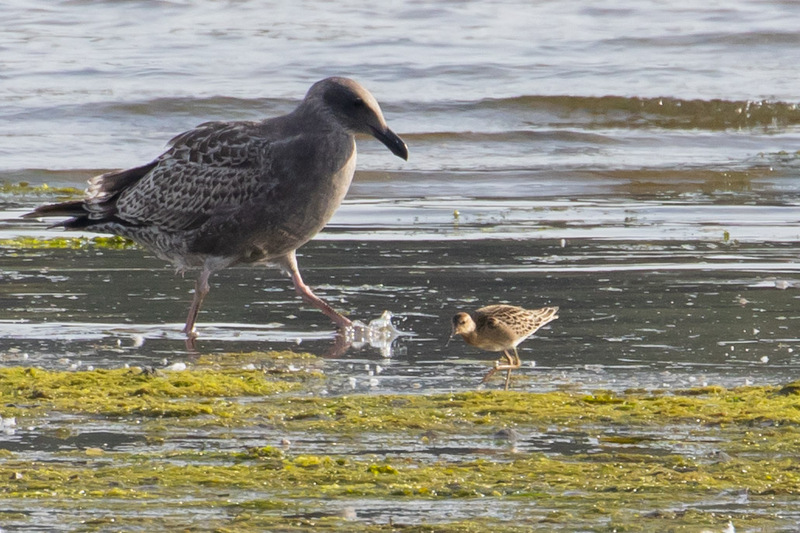 Even if this young Western Gull didn’t. 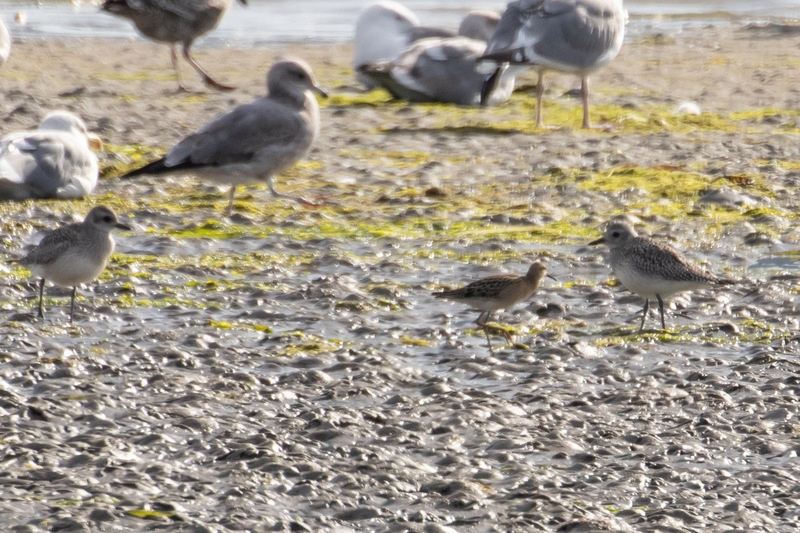 The Ruff made friends with a Marbled Godwit. 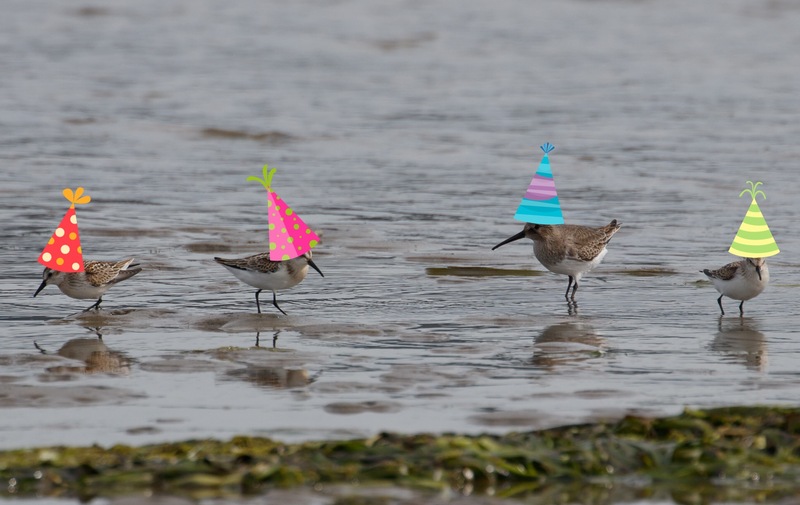 If this isn’t a shorebird festival I don’t know what is. 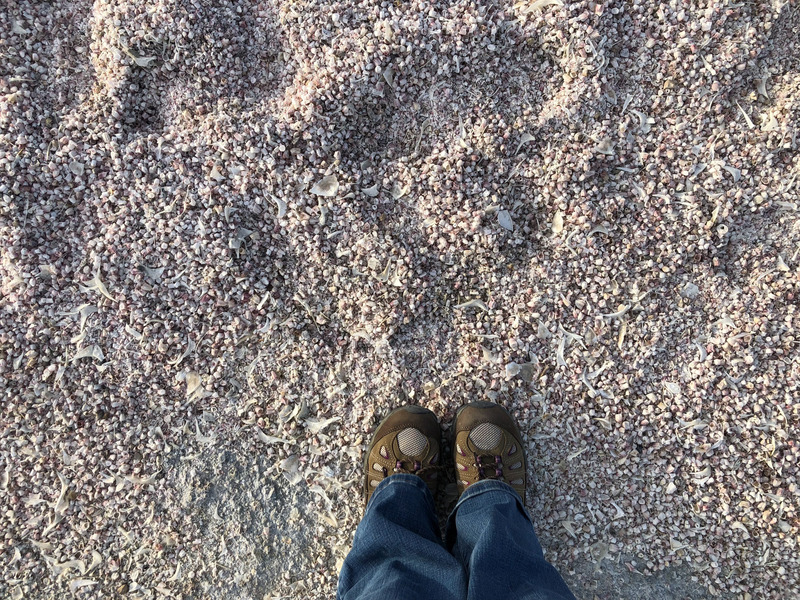 Someone gave me a tip to look for Pacific-golden Plovers and Snowy Plovers at South Beach State Park nearby. 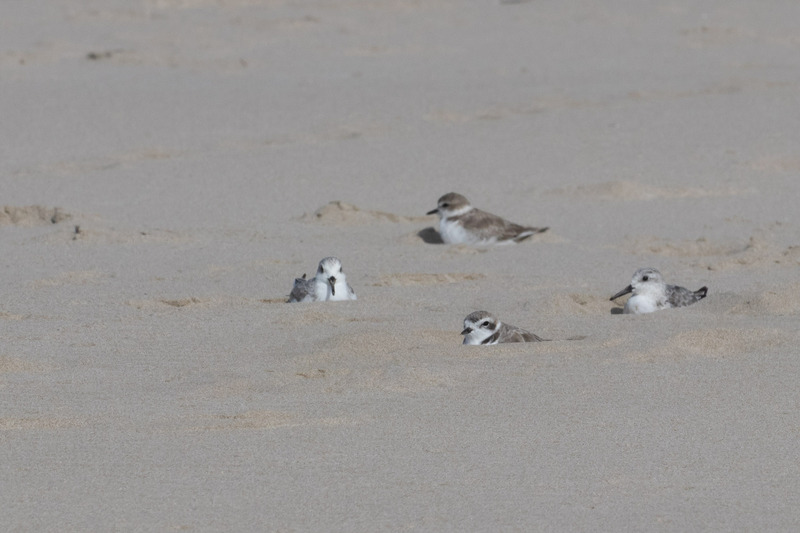 The snowies were exactly where they were supposed to be hiding in little sand pockets (with Sanderlings). 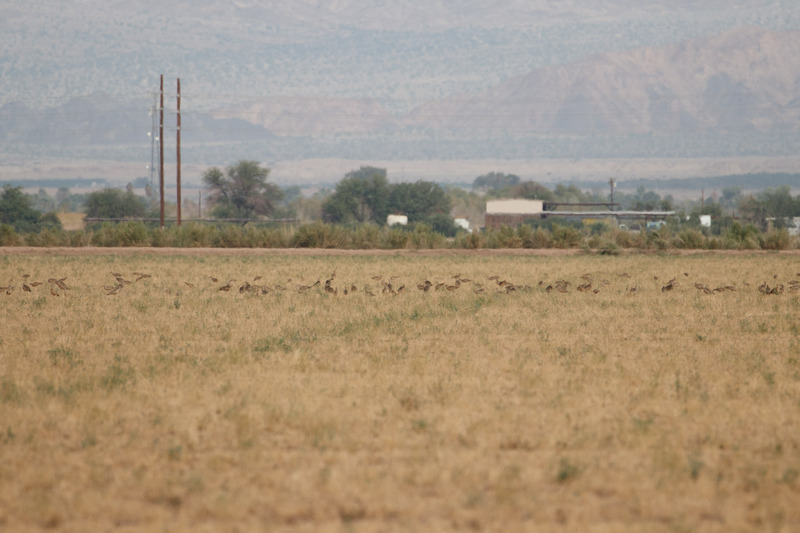 The Pacific-golden Plovers on the other hand weren’t as cooperative. I gave it a solid effort, but after a few tries with no luck, I moved on. I still had two hours to drive before getting to Charleston. Of course I also made a couple of stops to check for a Red Knot at the south jetty in Florence, but that was knot to be. 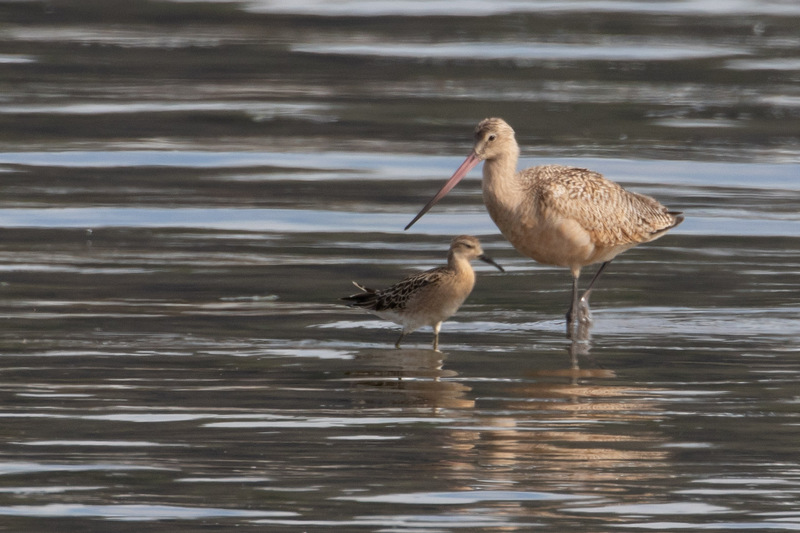 Instead I found a pair of Marbled Godwits, and a close-up White-winged Scoter at the crab docks. After too long on the road I finally made it to registration and “checked in” at the dorms. This was when I’d realized I made a terrible mistake. 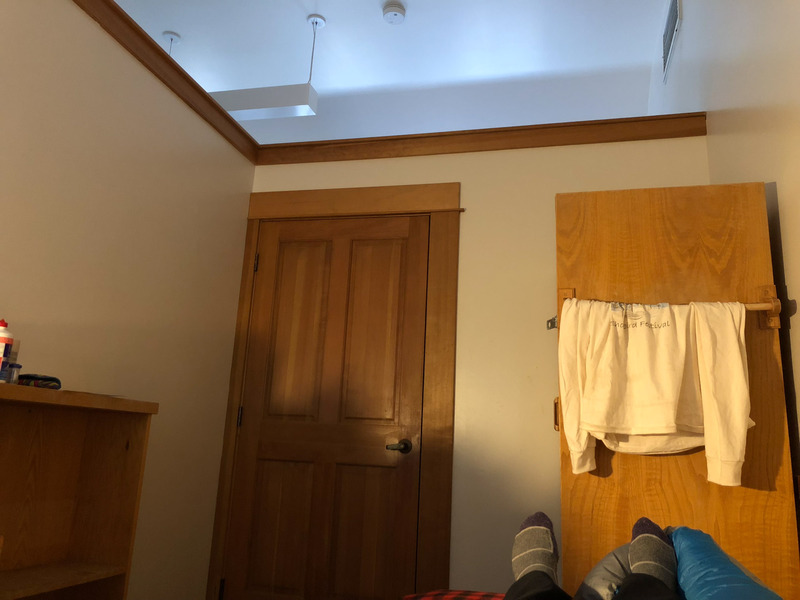 I thought I could sleep in the dorms at OIMB, but I’m just too light a sleeper. I could hear all the sounds, mostly because the dorm walls don’t even go to the ceiling. One night with no sleep before field trips was fine, but two nights with no sleep before a pelagic trip was not going to happen. The next morning I groggily met up with the group to explore the Bandon area. We visited the South Jetty, China Creek, and Bandon Marsh National Wildlife Refuge. It was fun times with good people. I don’t have a ton of photos from the field trip since most of the day was foggy and overcast and a lot of the bird views were distant. 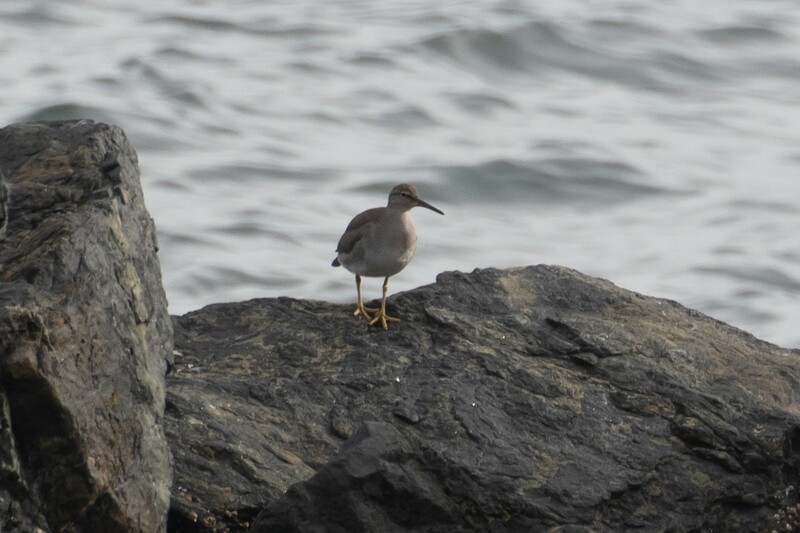 The best birds were probably Snowy Plovers at Bandon Beach, Virginia Rails at Bandon Marsh marsh, and the Wandering Tattlers at South Jetty that popped up on the rocks when a mink ran by and spooked them. I watched one of the presentations on photography by Tim Boyer, who had some great tips I’ll likely implement and who also has a helpful YouTube channel. 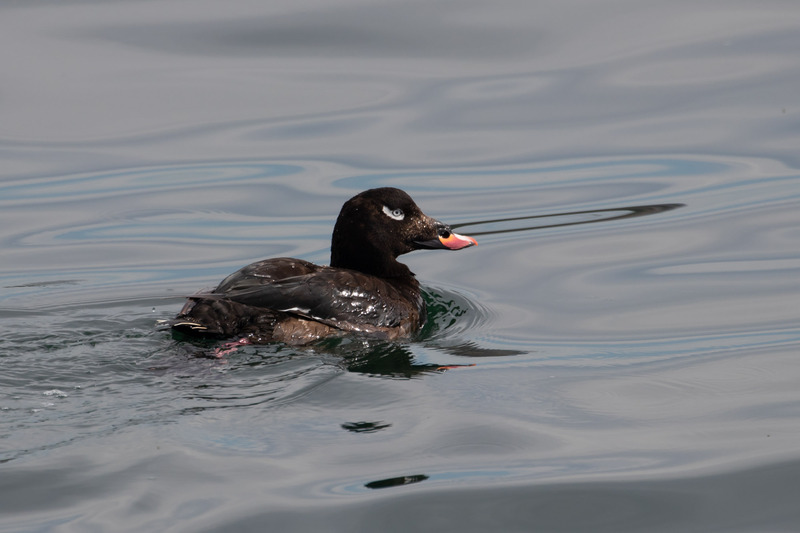 The second night I slept great at Captain John’s Motel which is a good thing since the following morning I was meeting the group at 6:30am for what would be my fourth pelagic boat trip.